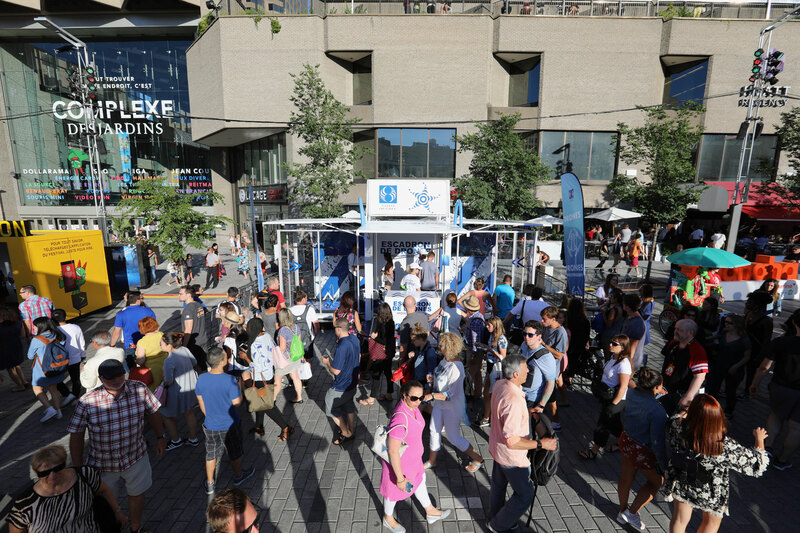 Loto Québec made a whole lot of impact with not a whole lot of box at the summer’s Just for Laughs Festival in Montreal. 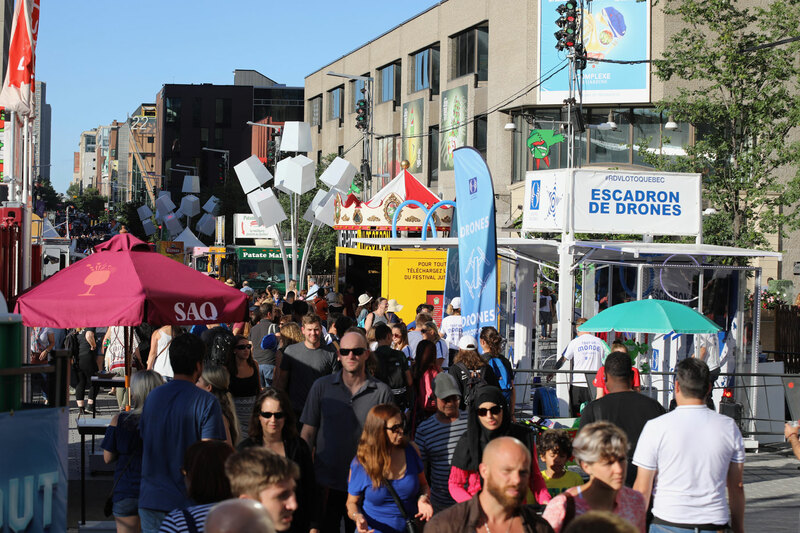 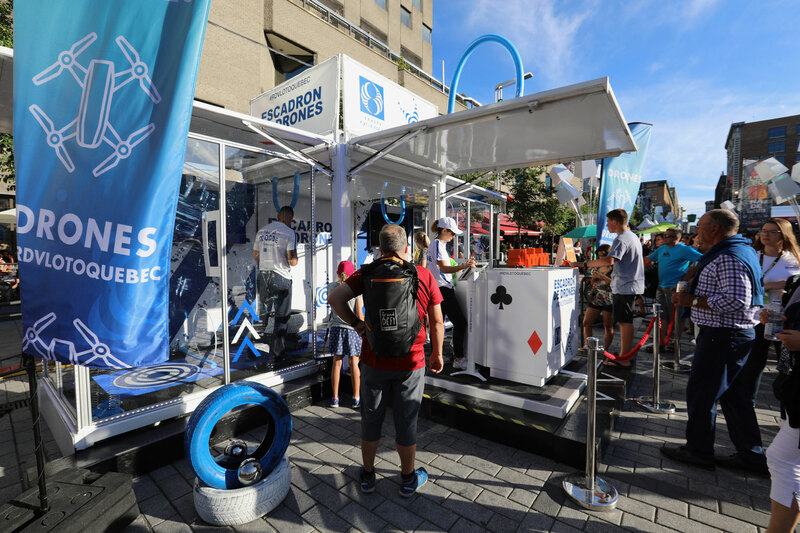 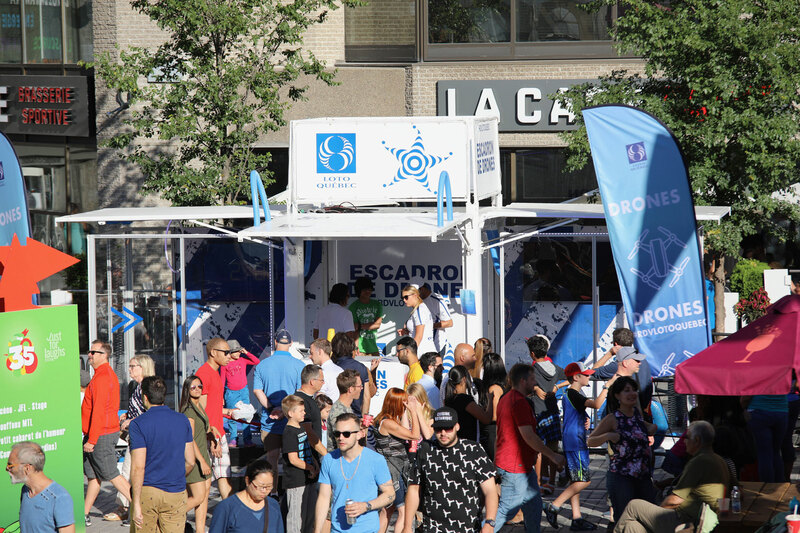 The provincial lottery agency set up in a small space right in the heart of the Quartier des Spectacles entertainment quarter just off one of the main outdoor stages. 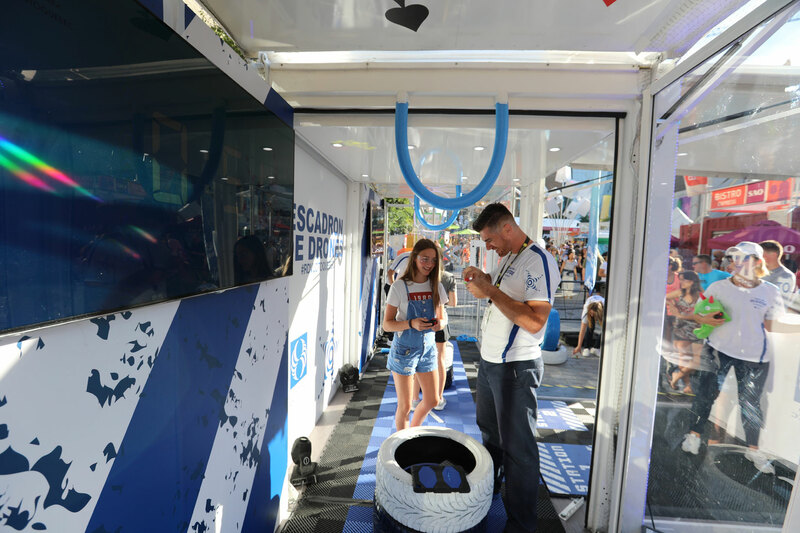 They selected a Loki LB8, our smallest unit that starts out as a compact 8’ X 8’ X 8’ cube that stretches to an impressive 16 X 24 feet when fully deployed. 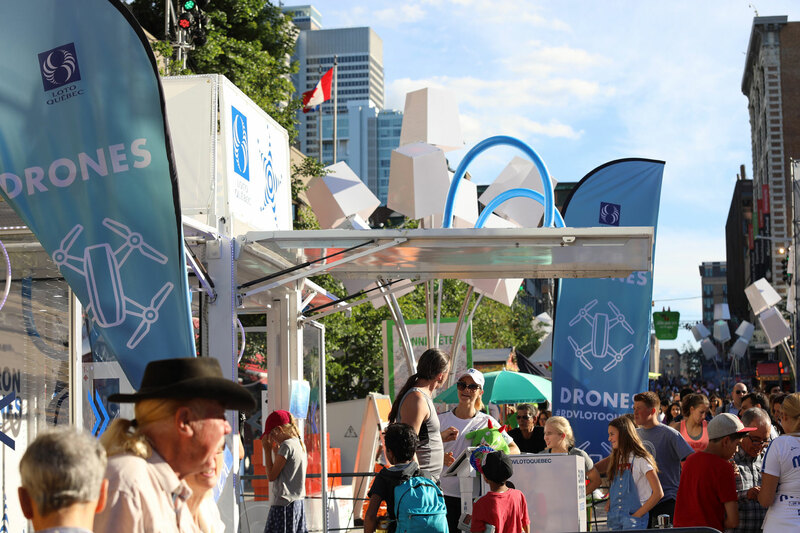 Attached to the unit, a glass box structure expanded the usable space even further for a very unique purpose: drone games! 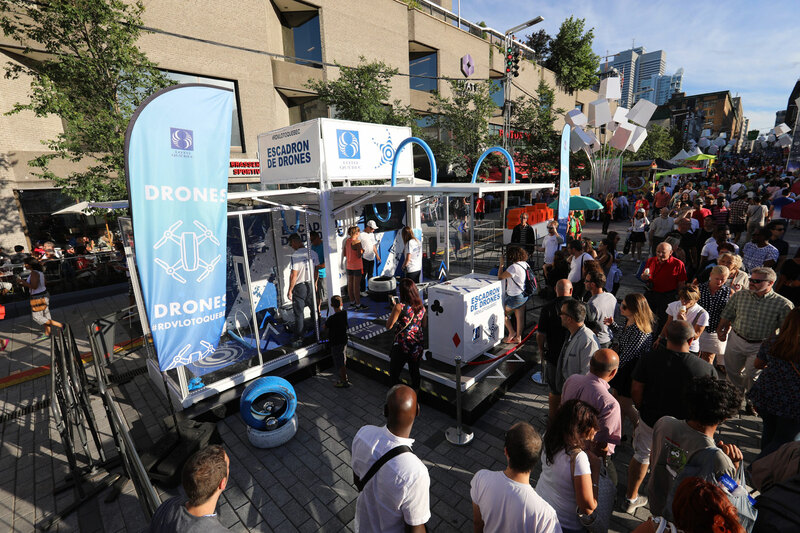 Visitors could have a few laughs fighting it out with their flying machines inside the safe confines of the glass enclosure.